The inevitable has happened! Jose Mourinho has been sacked by Manchester United, bringing an end to the 2½-year association as manager with the club. The 55-year-old was relieved of his duties two days after United's 3-1 defeat to Liverpool. The defeat left has United stranded at sixth in the table – 19 points behind the Premier League leaders and 11 points behind Chelsea in 4th, after 17 games. Adding to that, they have already conceded more goals this season (29) than they had done in the entire 2017/18 season (28)! A United statement read: "Manchester United announces that manager Jose Mourinho has left the club with immediate effect. The club would like to thank Jose for his work during his time at Manchester United and to wish him success in the future. A new caretaker manager will be appointed until the end of the current season while the club conducts a thorough recruitment process for a new full-time manager." Reports suggest that assistant coach, Michael Carrick will be taking charge of the team on an interim basis until the end of the season. 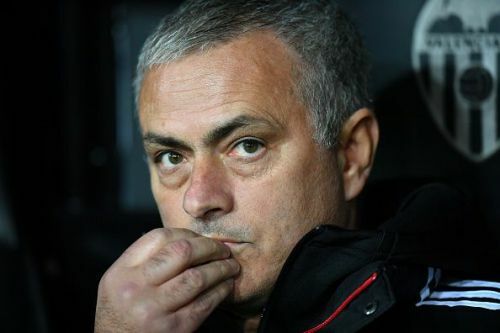 Mourinho lasted 2½-year at United and had started it by winning two titles in his first season — the English League Cup and the Europa League. However, he failed to win a trophy in his second season and was criticized for the team's defensive playing style. His relationship with Anthony Martial and Paul Pogba has sparked rumours of the duo leaving the club and the board has decided to step in. Moreover, Mourinho's constant talk about the board not backing him in the transfer market. Reports suggested that he wanted to sign a central defender but the club decided not to get anyone as they already have Lindelof, Bailly, Smalling, Rojo and Jones. Mother of all coincidences. Jurgen Klopp kicks Jose Mourinho out of another club. It's a sad day as Jose Mourinho is sacked by Manchester United. A sad day for Liverpool, Man City, Chelsea, Spurs and Arsenal. 17th December 2015 - Sacked by Chelsea. 18th December 2018 - Sacked by Manchester United. So sad to see Jose Mourinho sacked. I thought he was doing a great job. I was stunned when Man United sacked Jose Mourinho. And only a week before Christmas, too – at least give him the chance to be visited by three spirits who might persuade him to change his tactics, for God’s sake. That’s basic.